The following is a list of scholarships, awards and bursaries available to students in the MSc Occupational Therapy program. For the most up-to-date information on deadlines and requirements, please visit the Faculty of Graduate Studies and Research website. Note that the department notifies students of any applicable awards and deadlines and any department-specific eligibility requirements. 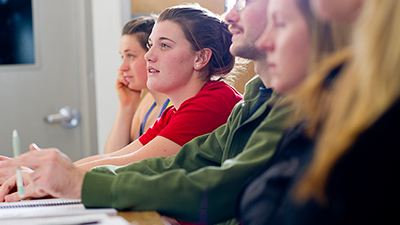 Many awards are University-wide awards and the department has their own eligibility requirements in order to select the top students to move to the University level. Most awards are only offered to students in their second year of the program. Eligibility: Awarded annually to a graduate student in satisfactory academic standing (GPA of 2.7 or higher) who has an interest in the fields of sexual health or sexual education. Open to both part-time and full-time students. Application: Active and ongoing interest in sexual health or sexual education, for example as evidenced by participation in SAR or similar professional conferences, the taking of courses in sexuality, scholarly or outreach activity in the field of study, etc., as well as academic and scholarly accomplishment. Eligibility Criteria: Awarded to a student with satisfactory academic standing who is registered in the Department of Occupational Therapy or the Department of Physical Therapy in the Faculty of Rehabilitation Medicine. Preference given to student with demonstrated volunteer commitment to individuals with mobility challenges. Selection based on demonstrated excellence in educational experiences, clinical skills, volunteer and professional activities. Application: By application to the Department of Physical Therapy and/or Department of Occupational Therapy. A complete application package consists of a letter of intent which describes the applicant’s qualifications and volunteer contribution within the community. Eligibility: Awarded annually to two students registered in, or admitted to, a full-time PhD or thesis-based Master's program at the University of Alberta. There are no restrictions on citizenship and all disciplines are eligible for funding. The scholarship will be awarded on the basis of superior academic achievement (minimum grade point average equivalent to a 3.5 on the University of Alberta grading scale) and demonstrated research ability or research potential. Application: There is no application form; departments will forward one nomination to the Faculty of Graduate Studies and Research by June 1st and the Graduate Scholarship Committee will select the recipient. Eligibility: Awarded to students with satisfactory academic standing enrolled in a graduate degree in the Faculty of Rehabilitation Medicine. Selection based on demonstrated financial need. Preference given to students who completed high school in rural Alberta. Application: By application to the on-line Supplementary Bursary application, open 6 times annually. Eligibility: Awarded to students with satisfactory academic standing registered in a graduate program or certificate in the Faculty of Rehabilitation Medicine. Selection based on demonstrated excellence in educational experiences, clinical skills and professional activities. Preference will be given to internationally-educated physical therapists registered in the Post-baccalaureate Certificate in Bridging to Canadian Physical Therapy Practice program. Part-time students are eligible for this award. Application: By application to the Department of Physical Therapy. A complete application package consists of a letter of intent which describes the applicant's qualifications and expected benefit to the profession. Conditions: Awarded to students with satisfactory academic standing enrolled in any year of a graduate degree in the Department of Occupational Therapy in the Faculty of Rehabilitation Medicine. Selection based on demonstrated financial need. Preference given to students working to enhance the independence of children and young adults with disabilities in Alberta. Eligibility: Awarded annually on the basis of high academic standing to a student who has completed at least the first year of a master's program in Occupational Therapy and who is undertaking research in the field of Vocational Rehabilitation. Full-time students will be given preference. Part-time students who are registered in at least one course in two of the three terms (Fall/Winter; Spring; Summer) will also be considered. Students may hold this award only once. Application: There is no application form; eligible students will be considered automatically by the Department of Occupational Therapy. Eligibility: Awarded annually to a woman student of outstanding academic merit who has graduated from a degree program at the University of Alberta and is entering or continuing in a full-time graduate degree program at this university. Preference will be given to a student entering the first year of a graduate degree program immediately following her undergraduate degree. Application: There is no application form; the Faculty of Graduate Studies and Research will request one nomination from each eligible department. The Graduate Scholarship Committee will make the final selection. Funded by the family and friends of Dianna Mah-Jones, Alumnus, 1979 Occupational Therapy/Rehabilitation Medicine. Eligibility: Given to an occupational therapy student who is involved in the broader arts community (dancer, singer, musician, performer, etc.). The award is given based on academic standing and demonstrated innovation in occupational therapy assessment or intervention for a client or group of clients, e.g., assistive technology, aids for daily living. Evidence may be from course work, fieldwork, or community engagement while the student is in the Occupational Therapy graduate program. The student must be registered full-time in any year of the Occupational Therapy graduate program in the Faculty of Rehabilitation Medicine. Application: Eligible students must submit applicable application form including a letter outlining their impact in advancing innovation, or the art and science, of occupational therapy. Eligible students should contact the Department of Occupational Therapy for application deadline. Eligibility: Awarded annually on the basis of superior academic achievement, to a student in a master's or doctoral degree program in Fine Arts or Rehabilitation Medicine. In even-numbered years, the scholarship will be awarded for study in Fine Arts and in odd-numbered years, the scholarship will be awarded for study in Rehabilitation Medicine. In the event that a suitable candidate cannot be found in the specified area, the scholarship may be awarded in the other area. Part-time students are eligible for this award. Application: There is no application form; the department will consider eligible students and one nomination will be accepted from eligible departments in the area in which the scholarship is to be awarded. The Graduate Scholarship Committee will make the final selection of the recipient. Eligibility: Awarded annually to a student in a graduate degree program whose major area of research deals with behavioural disorders of children. Part-time students are eligible for this award. Dr. Gary McPherson was a renowned advocate for people with disabilities. He devoted himself to inspiring leadership and bringing out the best in everyone. He was a member of the Order of Canada, the Alberta Order of Excellence and both the Edmonton and Alberta Sports Halls of Fame. This scholarship recognizes students who have demonstrated outstanding leadership, especially in the area of disability, and/or initiative to improve the conditions and lives of others. Conditions: To be awarded to a student with satisfactory academic standing in Occupational Therapy or Physiotherapy. Recipients will be chosen on the basis of academic standing, personal qualities and contribution to the Faculty. Eligibility: Awarded annually to six full-time students registered in the first or second year of a graduate degree program in the Department of Occupational Therapy, Department of Physical Therapy, and the Department of Communication Sciences and Disorders (two scholarships offered in each of the three departments). 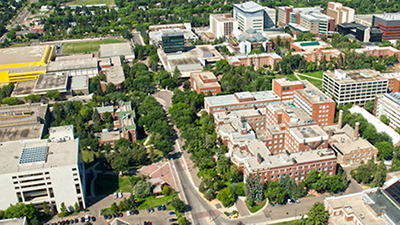 Recipients will be selected on the basis of superior academic standing (minimum grade point average equivalent to 3.5 on the University of Alberta grading scale) and who, after graduation, intend to give at least one year of service in Alberta outside the metropolitan centres of Edmonton and Calgary. Application: Eligible students should submit a letter of application to their home department in the Faculty of Rehabilitation Medicine by August 1st. The Faculty of Graduate Studies and Research will request the names of two eligible applicants from each department for final approval. Eligibility: One scholarship to be offered annually to a Canadian citizen or permanent resident who is an Alberta resident and who is registered full-time in the second year of a graduate degree program in any department within the Faculty of Rehabilitation Medicine at the University of Alberta. The recipient will be selected on the basis of superior academic achievement (equivalent to a grade point average of 3.5 or greater on the University of Alberta grading scale). Application: There is no application form; the Faculty of Graduate Studies and Research will request one nomination from each eligible department (Occupational Therapy, Physical Therapy, or Communication Sciences and Disorders). The Graduate Scholarship Committee will make the final selection. In nominating a student for the scholarship the departments may take financial need into consideration. Conditions: Awarded to one graduating student in each of the following programs: Physical Therapy, Occupational Therapy, and Speech Language Pathology. 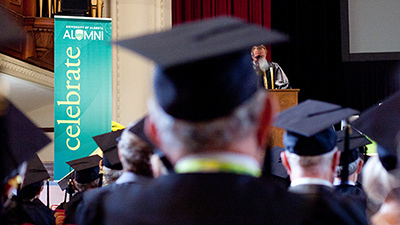 Eligibility: Awarded annually on the basis of academic excellence to a full-time Master's or PhD student who has received no or limited support from the University of Alberta. Holders of major awards (as defined by the Graduate Scholarship Committee) will not be considered. A student may hold the scholarship only once. Approximately seven awards are granted each year. Application: There is no application form; the Faculty of Graduate Studies & Research will request a nomination from each department. The nomination must include a detailed description of all of the nominee's sources of funding (i.e. assistantships, bursaries, employment income, external and U of A Scholarships, loans, and tuition supplements). The Graduate Scholarship Committee will make the final selection. Eligibility: Awarded annually to a student registered full-time in the final year of a graduate degree program in the Department of Occupational Therapy. The award recognizes the student who has achieved the highest standing in the course continuum of physical dysfunction and occupational performance. Application: There is no application form; eligible students will be considered automatically by the Department of Occupational Therapy in the Faculty of Rehabilitation Medicine. The Faculty of Graduate Studies and Research will request the name of one nominee for final approval. Eligibility Criteria: Awarded annually on the basis of superior academic achievement to one or more students registered full-time in a graduate degree program whose permanent residence is in the Northwest Territories. Application: Students are to submit their application to their department. 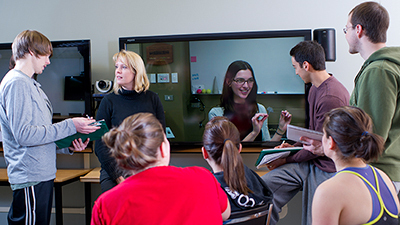 A complete application package consists of a letter of application by the students describing the student's work, and a transcript of the academic record. Students to check with their department for internal deadlines. Eligibility: Two scholarships awarded annually, one to a student registered in a Master’s program (course-based or thesis-based), and one to a student registered in a PhD program whose graduate programs are focused on aging. An applicant may not hold this scholarship more than once during the tenure of their graduate degree program. Application: A complete application will consist of an application form; a brief statement of the applicant’s future plans for pursuing a career in the field of aging; a listing of aging–related courses completed or in progress, with a brief explanation of the aging–related content; a brief description of the applicant’s thesis/dissertation topic (if applicable) and anticipated completion date; a description of relevant community volunteer work; one copy of the applicant’s curriculum vitae; and one set of official university transcripts. Application forms are available from the Alberta Centre on Aging website (www.aging.ualberta.ca). Deadline: Early November; refer to Alberta Centre on Aging website. Eligibility: Awarded to a student registered full-time in a Master of Science program in the Department of Occupational Therapy in the Faculty of Rehabilitation Medicine. Selection is based on superior academic achievement (3.5 or greater on the University of Alberta grading scale), demonstrated strong clinical skills, and innovation in clinical fieldwork placement and its impact on enabling broader client participation in society. In addition, the recipient will demonstrate leadership qualities, both academically and personally. Preference will be given to a second-year or third-year student who demonstrates superior academic achievement in an inter-professional and collaboration course such as the universal design in occupational therapy module course as well as a first generation University student. Application: Eligible students should contact the Department of Occupational Therapy for application procedure and deadlines. Conditions: To be awarded annually to a student registered in a graduate degree program in the Department of Occupational Therapy or the Department of Physical Therapy who is working with patients who have a neurological disability. Awarded on the basis of financial need and satisfactory academic performance as well as the student's demonstrated enthusiasm for their studies. Eligibility: Awarded annually to two academically outstanding students registered in, or admitted to, a master's or doctoral degree program at the University of Alberta. Recipients of the scholarship must be registered and working full-time on their graduate program during the tenure of the scholarship. This award may not be held concurrently with another major award as defined by the Graduate Scholarship Committee (value of $13,000 or greater). Application: There is no application form; the Faculty of Graduate Studies and Research will request one nomination from each department. The Graduate Scholarship Committee will make the final selection. Conditions: To be awarded annually to three students with satisfactory academic standing in the final year of the professional entry-level program in Physical Therapy, Occupational Therapy, and Speech Pathology and Audiology. Recipients will be selected on the basis of demonstrated qualities of comradeship and congeniality, and an ability to promote feelings of friendship and goodwill throughout the Faculty. Eligibility: Awarded annually on the basis of superior academic achievement to student(s) registered in the second year of a graduate degree program in the Department of Occupational Therapy. Application: There is no application form; eligible students will be considered automatically by the Department of Occupational Therapy. FGSR will request one nomination from the Department of Occupational Therapy. The Graduate Scholarship Committee will make the final selection. Eligibility Criteria: Awarded once every two years to a student registered full-time in a graduate degree program at the University of Alberta whose focus of enquiry is in the field of northern studies. The recipient will be selected on the basis of superior academic achievement (equivalent to a grade point average of 3.5 or greater on the University of Alberta grading scale). Granted for two years (subject to review after one year) the renewal will be approved on the basis of a report from the recipient's supervisor on the progress achieved in their studies and research. The scholarship may not be held by a recipient for more than two consecutive years. Application: The application form and information about the application process and required supporting documents is available on the University of Alberta, UAlberta North website. Eligible students should submit a complete application package to the UAlberta North, 1-42 Pembina Hall, University of Alberta, Edmonton AB T6G 2H8, by August 14th. UAlberta Noth will review the letters of application and forward the name of one nominee to the Graduate Scholarship Committee for final approval. Application Deadline: All applications must be received by 1st of April. The award will be announced by June 1st. Criteria: Leadership, Innovation and Support of community-base occupational therapy services directed towards geriatric care. Students must demonstrate an interest in providing innovation therapeutic interventions to seniors residing at home, in communities or in long-term care facilities. Innovations must facilitate improvement in person centered care and/or staff collaboration that maximizes or improves the patient experience. Application: Students must nominate themselves bu submitting a one-page document which outlines their suitability for this award based on the criteria specified above. A reference letter from the student's academic advisor or clinical supervisor at a geriatric facility supporting the application must be enclosed. Funded by: The Edmonton Rotary Club Foundation, in memory of Leo LeClerc who was a dynamic force in the Edmonton community for more than four decades. His involvement with business, government, sports, media and community service touched hundreds, if not thousands, of lives in positive and significant ways. Conditions: To be awarded annually to an undergraduate or graduate student attending the University of Alberta. Criteria for selecting recipients will include academic achievement, character and financial need. Special consideration will be given to special needs candidates such as individuals with disabilities - all permanent disabilities or medical conditions. Endowed by classmates, friends and family in memory of Lisa Lynn Leinweber who passed away in 1996 in a hiking accident. Eligibility: Awarded annually to a student registered full-time in a graduate degree program in the Department of Occupational Therapy. The recipient will be in the graduating class and should have achieved a balance between academic life and extracurricular activities, as demonstrated by involvement in the community, and participation in recreational and leisure activities. In addition, the recipient will demonstrate leadership qualities academically and personally and will have achieved outstanding scholarship and academic achievement (minimum grade point average equivalent to 3.5 on the University of Alberta grading scale). Application: A list of nominees will be submitted by the graduating class to the Chair, Department of Occupational Therapy by November 1st. The Faculty of Graduate Studies and Research will request the name of one nominee for final approval. Conditions: Awarded to a graduate student with satisfactory academic standing enrolled in a Master's program in the Department of Occupational Therapy. Selection based on demonstrated financial need. Conditions: To be awarded annually to a student with a spinal-cord injury continuing in an undergraduate or graduate degree program at the University of Alberta. Recipients will be chosen on the basis academic achievement and volunteer service which benefits persons with disabilities. In the event that there is no suitable candidate found, this award can then be presented to a student with any type of physical disability. Students enrolled full-time or part-time are eligible for this award. Endowed by May and John Lockhart, alumni of the University of Alberta. Eligibility: Awarded annually to a student registered full-time in the final year of a graduate degree program in the Department of Occupational Therapy. The recipient will have satisfactory academic standing and demonstrate involvement in Occupational Therapy related extracurricular activities. Preference will be given to a student from a farm family or rural small business family in Western Canada. Any student in receipt of a scholarship or other award in the current academic year will not be eligible to receive this award. If there are no qualified applicants entering the final year of the program, a student in the first year of the program may be considered. Application: Eligible students should submit a letter of application to the Chair, Department of Occupational Therapy by August 1st. The Faculty of Graduate Studies and Research will request the name of one nominee from the department for final approval. Selection: Based on academic achievement, demonstrated interest or experience in cancer rehabilitation and/or head and neck cancer rehabilitation, and demonstrated excellence in educational experiences, clinical skills and volunteer and professional activities. Application: Eligible students should contact the Faculty of Rehabilitation Medicine for application procedures and deadlines. The Faculty will nominate one candidate to the Faculty of Graduate Studies and Research. The Graduate Scholarship Committee will make the final selection. Eligibility: Awarded annually in the Fall on the basis of academic merit to full-time students in graduate degree programs who have received no or limited financial support from the University of Alberta. Holders of major awards (as defined by the Graduate Scholarship Committee) will not be considered. The scholarship may be held only once by a student. Approximately six awards are granted each year. Application: There is no application form; the Faculty of Graduate Studies and Research will request a nomination from each department. The nomination must include a detailed description of all of the nominee's sources of funding (ie assistantships, bursaries, employment income, external and U of A Scholarships, loans and tuition supplements). The Graduate Scholarship Committee will make the final selection. Eligibility: Awarded annually to one student registered full-time in the first year of a graduate degree program in each of the following departments: Occupational Therapy, Physical Therapy, and Communication Sciences and Disorders. The recipients will be selected on the basis of superior academic standing (minimum grade point average equivalent to 3.5 on the University of Alberta grading scale). Preference will be given to students from Alberta or Saskatchewan. Application: There is no application form; eligible students will be considered automatically by their home department in the Faculty of Rehabilitation Medicine. The Faculty of Graduate Studies and Research will request the name of one nominee from each of the three departments for final approval. Eligibility: Awarded annually to two outstanding students registered in a graduate degree program in the Faculty of Graduate Studies and Research at the University of Alberta. Preference will be given to a student who holds an undergraduate degree from an accredited institution in India. Part-time students are eligible for this award. Application: There is no application form; departments will forward one nomination to the Faculty of Graduate Studies and Research. The Graduate Scholarship Committee will make the final selection. Eligibility: Give to a student(s) registered full-time in the second year or later of any graduate program in the Faculty of Rehabilitation Medicine.There is a preference for students who hold two years of a continuous RMSA membership. Awards are given based on academic standing and demonstrated impact in at least one of three areas: enhancing the Rehabilitation Medicine experience for others, exhibiting rehabilitation community leadership and/or facilitating interdisciplinary collaboration. Impact Award can only be held once by a student and cannot be held in conjunction with the RMSA Award or RMSA Award of Excellence. Application: Eligible students must submit applicable application form including a letter (max. 750 words) outlining the student's’ impact since entering the faculty as a graduate student. The letter must discuss direct impact in at least one of the three areas stated in the selection criteria for the award. Eligibility: To be awarded annually to a student with satisfactory academic standing, registered in a full-time graduate program in the Faculty of Rehabilitation Medicine. Selection is based on academic achievement and demonstrated involvement in volunteer work, extra-curricular activities, and promotion of the profession and/or the Faculty within the community. Must be a member of the Rehabilitation Medicine Students' Association. Application: Contact the Faculty of Rehabilitation Medicine for application form. Deadline date for receipt of application is January 15th. Eligibility Criteria: Awarded to two full-time or part-time students with satisfactory academic standing registered in a graduate degree program. Selection is based on the significance of their program of studies and/or research to the advancement of lesbian, gay, bisexual, trans-identified, or queer communities. This award is tenable only once in a graduate student's career. Eligibility Criteria: Awarded annually to two students who are registered full-time in an undergraduate or graduate program at a university in Alberta whose research will lead to assisting children and adults with learning disabilities. Applicants must have completed two full academic years at either a university or at an accredited junior college at which courses are acceptable toward a university degree. Application Process: Information regarding specific application requirements and application forms are available from: ldalberta.ca or via the Learning Disabilities Association of Alberta, Box 29011, Pleasantview P.O., Edmonton AB, T6H 5Z6. Eligibility: Two awards offered annually to a student registered full-time in a graduate degree program in a department within the Faculty of Rehabilitation Medicine and in a department within the School of Public Health. The recipients will be selected on the basis of satisfactory academic standing, a personal intent letter on a topic provided in advance and experience in an interprofessional learning experience as defined by the University of Alberta Interprofessional Learning Pathway. A student registered in a master’s degree program is eligible to hold the award during the first or second year of the graduate program. A student registered in a doctoral program is eligible to hold the award during the first year, or up to and including the fifth year of the graduate program. These activities will be supported by the Health Sciences Education Research Commons (HSERC) at the University of Alberta. The HSERC Awards Committee will forward the name of one nominee to the Faculty of Graduate Studies and Research by September 15th for approval. Conditions: To be awarded to the graduating student from the Faculty of Rehabilitation Medicine who has the highest average in courses taken at the University of Alberta credited to the degree. Application: There is no application form; the department will consider eligible students and one nomination will be accepted from eligible departments in the area in which the scholarship is to be awarded. The Faculty of Rehabilitation Medicine’s Scholarships & Awards committee will make the final selection of the recipient. Endowed by participants in the annual "Faculty Club Fun Run". The scholarship also recognizes Dr. Preshing's ongoing contributions to this special event. Eligibility: Awarded annually to a student registered full-time in a graduate degree program at the University of Alberta on the basis of superior academic achievement. Application: There is no application form; the Faculty of Graduate Studies and Research will request a nomination from each department. In selecting a student for the award, financial need will be taken into consideration. The nomination must include a detailed description of all of the nominee's sources of funding (ie. assistantships, bursaries, employment income, external and U of A scholarships, loans and tuition supplements). The Graduate Scholarship Committee will make the final selection. Eligibility: To be awarded annually to a student with satisfactory academic standing who is enrolled in the Department of Physical Therapy, Occupation Therapy, or Communication Sciences and Disorders in the Faculty of Rehabilitation Medicine. Recipient will be selected on the basis of demonstrated financial need and involvement in leadership and community activities. Application: Student Financial Aid and Information Centre, 2-700 Student Union Building, 492-3483. Eligibility: Awarded annually to a student registered in a graduate degree program related to gerontology or geriatrics at the University of Alberta. Part-time students are eligible for this award. Deadline: September 15th for submission of nominations from departments to the Faculty of Graduate Studies and Research. Eligibility: Awarded annually to a student with satisfactory academic standing (minimum grade point average 2.7) who is in the second year of a full-time graduate degree program in any department at the University of Alberta. Selection will be based on academic standing and demonstrated volunteer involvement in activities on campus and in the community (volunteer work required for school credit will not be considered). Preference will be given to a student who is involved in volunteer activities both on and off campus. The recipient may not hold this award concurrently with an award or bursary with a value of $13,000 or greater. Application: Eligible students should submit an application form (available on the FGSR website) and supporting documents to the Chair of their home department. The Faculty of Graduate Studies and Research will request one nomination from each eligible department and the Graduate Scholarship Committee will make the final selection. A written and signed statement from each volunteer office/organization to confirm your role and the number of volunteer hours provided per week must be included with the application form. Eligibility: Awarded annually to an outstanding student registered full-time in a graduate degree program and working in the area of Gerontology. Awarded to enable eligible students to attend a conference related to the field of aging. Application: The application will consist of a completed application form; a brief paragraph outlining the applicant’s goals in attending a gerontology conference; confirmation of acceptance of a paper/poster presentation at a specific conference; one copy of the applicant’s curriculum vitae; and one set of official university transcripts. Application forms are available from the Alberta Centre on Aging website, www.ualberta.ca/aging, under Scholarships.